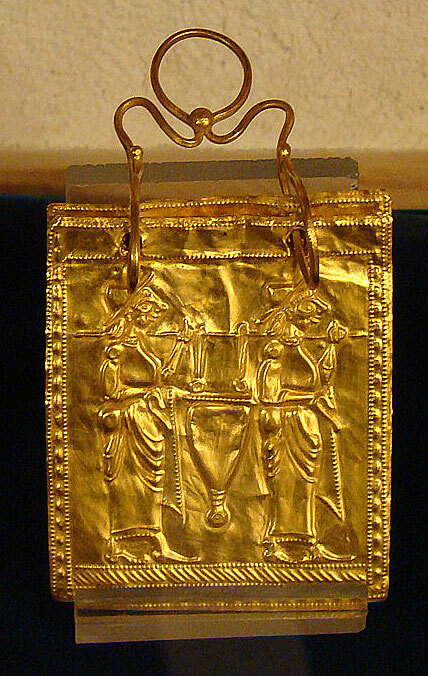 This is the Oldest Book of the world, The Etruscan book of gold, written 2673 years ago. Etruscans were an ancient group who moved from Lydia (now in Turkey) to central Italy nearly 3 thousand years ago, which gave the name of the city Toscana. The book was made for the funeral of an aristocrat who was a member of the Orpheus cult (originated in Thracia now Turkey and Bulgaria) in south of Italy.